10:10pm–#Fairfield CT–Students at Pumpkin Preschool at 449 Grasmere Avenue will learn the lesson of safe driving when they find their playground smashed by a woman who lost control of her car and smashed into the equipment. The woman was taken into custody and police will investigate if alcohol was a factor. 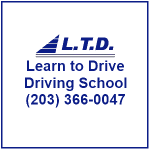 10:00pm–#Bridgeport CT–Report of a crash with injuries on Marcel Street. First responders on the way. 9:49pm–#Fairfield CT–Police on the way to a residence on Trefoil Court for a turtle that has been stolen. Two possible suspects have the code to the alarm. 9:46pm–#Bridgeport CT–Report of a Mercedes Benz driving near North and Park Avenue shooting paintballs at cars and people walking by. #Bridgeport CT– One of our viewers was inside Tiago’s Restaurant having dinner when the window was shot at, possibly by a BB gun and shattering the window. It is still in tact. Scared everyone in the dining room I’m told. 8:44pm–#Fairfield CT–Office Max on the Post Road called police that two people made purchases with fraudulent funds including a $200 gift car. The two fled on foot in an unknown direction. 7:33pm–#Fairfield CT–Cops called for a man was driving his kids around trick or treating texting and not paying attention. 7:14pm–#Bridgeport CT–Police are looking for a black Jeep with heavy tinted windows driving around the neighborhoods off East Main Street shooting out windows with a BB gun. 7:07pm–#Bridgeport CT–A couple had someone outside shooting paintballs at their apartment in the 100 block of Sanford Place. They told police they then forced their way into their home and pistol whipped them with the paintball gun and fled in an unknown direction.